Now that the new year has started, and the holiday season is over, your gingerbread house may seem a little outmoded. But pie knows no season, so rather than tossing your cookie house in the bin, you should probably make it into a pie crust. This brilliant idea comes from the geniuses over at Extra Crispy, and I really wish I had known about it before I tossed my spicy construction project, due to structural issues. 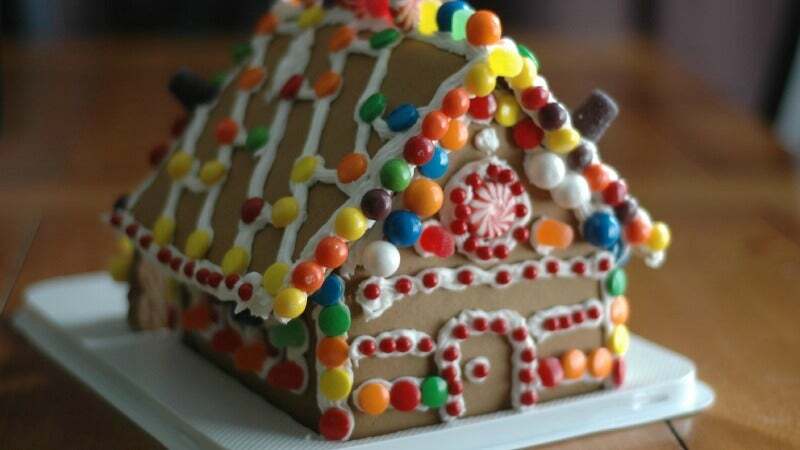 Assuming you didn't use glue to keep the thing together, this can be done with almost any gingerbread house. Just pick off the lollies (frosting and sprinkles can stay), bash it up with a hammer and chuck it in the food processor to get two cups of fine crumbs. Mix the crumbs with 55g of melted butter, press into a pie pan and bake at 175C for 10 minutes. Fill as you please.